Principal of Glasgow Kelvin College Accepts White Ribbon Scotland Ambassador Role. 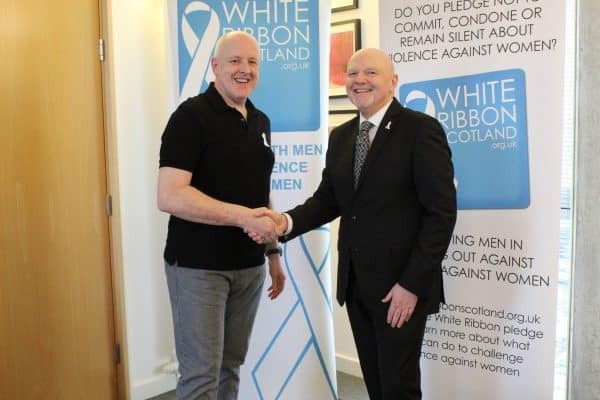 Glasgow Kelvin College Principal Alan Sherry has accepted the role of White Ribbon Scotland Ambassador. 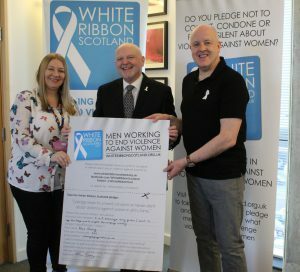 White Ribbon Scotland (WRS) is a charity (SC041385) which aims to contribute to the reduction and eventual ending of violence against women (VAW). They seek the support of men who do not perpetrate violence to influence the attitudes and behavior of their peers. To further the aims of the campaign WRS recruits volunteers as Speakers, Champions, Coordinators, Ambassadors and Trustees. The role of Ambassador involves people who have taken a particular interest in addressing VAW through White Ribbon and who are in a position to influence others to participate. 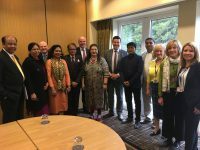 Ambassadors undertake to raise awareness of the White Ribbon Scotland Campaign, encourage people to get involved and to take the White Ribbon Scotland pledge not to ‘commit, condone or remain silent about violence against women in all its forms’. 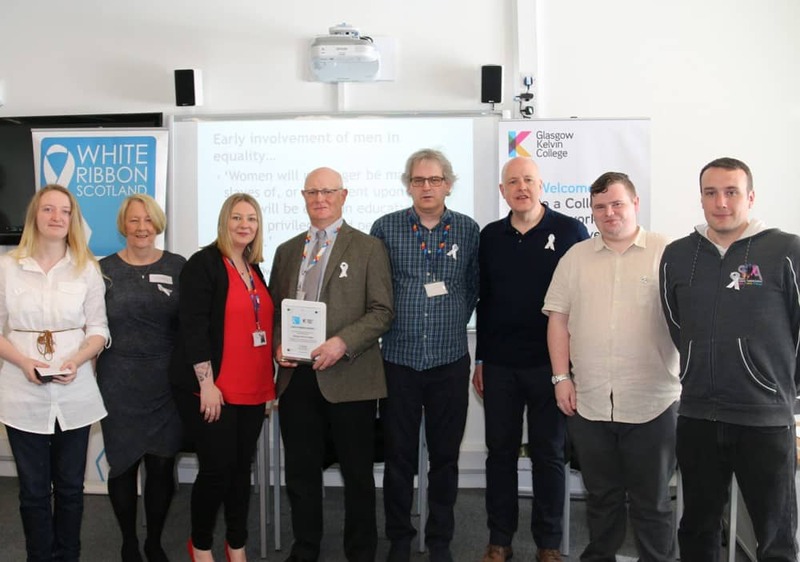 Glasgow Kelvin College has, over the last two years, established and expanded its work with White Ribbon Scotland through Learner Engagement and the Student Association. With a deluge of staff and student sign-ups to the Pledge, the College has supported the training of students as volunteer speakers who spread the message and deliver awareness training throughout the community. Most recently delivering training to local bookmakers staff and going on to win a prestigious Green Gown Award for its Learner Engagement, the College staff and students work hard to establish new networks and build partnerships with colleague organisations to spread the word. White Ribbon Scotland is delighted and proud to announce that Alan Sherry, Principal of Glasgow Kelvin College has accepted an invitation to become our next Ambassador. In 2017 Glasgow Kelvin College was awarded White Ribbon Status in recognition of the work undertaken to involve more men on campus in addressing issues of VAW. This followed months of work and dedicated activity with the support of the Students Association and the College itself. Throughout that time and since the award Alan has been a stalwart of the campaign; going the extra mile to provide encouragement and involve others with his infectious enthusiasm. It was logical therefore that we would invite him to accept this role. Alan and Davy were joined by Arlene Sweeney, Learner Engagement Officer at the College, to celebrate the occasion. 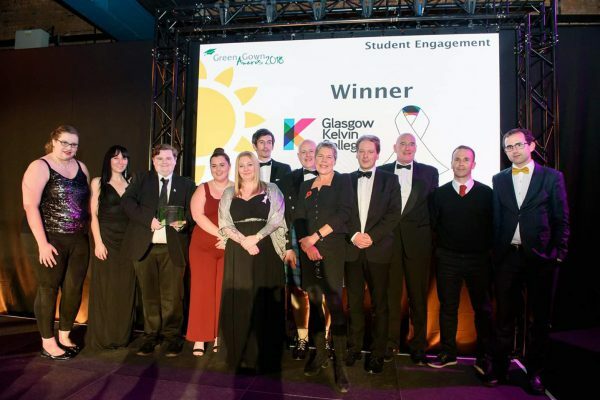 Glasgow Kelvin’s trailblazing White Ribbon campaign has won the ‘Student Engagement: Small Institution’ Award at this year’s national Green Gown Awards. With two projects shortlisted in the Student Engagement category, the College sees this as excellent recognition of the commitment to its Sustainability Agenda. 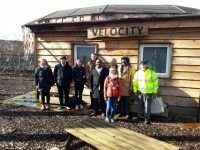 The other shortlisted project was the GK Velocity project which, driven by Support for Learning students, gave rise to the Cycle Hub at the Springburn Campus. Involvement in the White Ribbon campaign - Sustainable Inclusive Social Practice has seen the Student Association, guided by Arlene Sweeney the Student Engagement Officer, roll out the message throughout the College and into the community. The campaign strives to give men a voice in helping to oppose violence against women, refusing to view it as a ‘women’s issue’ but something which society needs to address as a whole. Several students and staff have also trained as speakers to deliver awareness-raising sessions and are currently involved, with local MSP Bob Doris, in providing sessions for employees who work with local bookmakers to support them in getting the message across to customers in their day-to-day work. “We are incredibly proud of the hard work and commitment of the Student Association to ensure that this extremely worthwhile campaign is spread throughout the Glasgow Kelvin community. 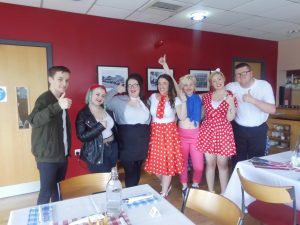 Staff and students from Glasgow Kelvin College were enthusiastic to support the White Ribbon Scotland campaign at the Radisson Red Glasgow Rocks most recent fixture at the Emirates sports arena. The campaign recognises that the majority of men are not violent towards women and it provides a voice for them to actively oppose violence – it is not just a women’s issue but something that affects everyone. “This has been a fantastic evening with over 100 pledges signed by members of Glasgow Rocks and the fans; fathers being role models to their children by speaking up about violence against women and the Rocks being role models to all their fans. Men need to speak about this scourge which affects our society across Scotland and they are realising that they need to contribute to bringing it to an end. The College partnership with White Ribbon Scotland goes on from strength to strength and students and staff were also thrilled to be at the game which saw Glasgow Rocks defeat Worcester Wolves by an impressive 89-61 win. 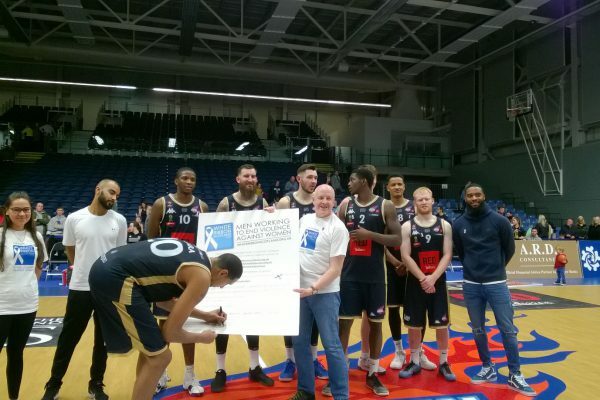 The team are pictured here with Davy Thomson of White Ribbon, student Arriann Louden and Captain Kieron Achara who is signing his name to the Pledge. Thanks go to the Radisson Red Glasgow Rocks management for their support in helping set up the event. Fingers crossed for a successful season for the Rocks and an even more exciting year for White Ribbon Scotland in 2019. Two of Glasgow Kelvin College Student Association’s sustainability projects have been cited as Finalists for this year’s prestigious Green Gown Awards. The GK Velocity: Wheels of Sustainability project is a Finalist in the Student Engagement category. 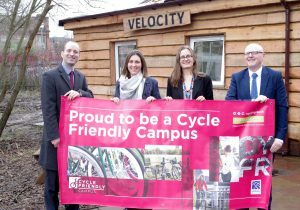 The brainchild of a group of Glasgow Kelvin’s Supported Learning students and staff in 2016 to encourage outdoor and cycling activities, the GK Velocity project has gathered support and momentum. 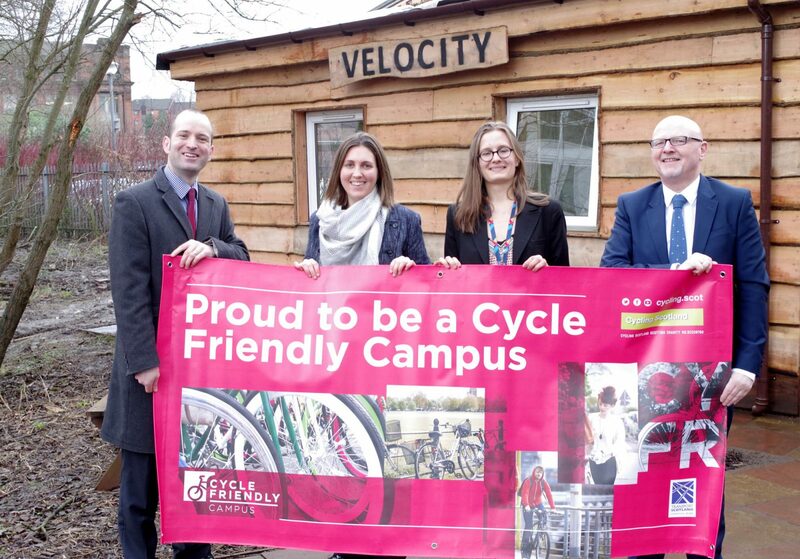 This culminated in funding from Cycling Scotland to appoint a Campus Cycling Officer and support from the Glasgow City Council Community Planning Partnership to build a Cycle Hub at the Springburn Campus. The building was constructed using sustainable materials, including larchwood cladding and a sedum roof, and provides a resource centre for cyclists – a one-stop shop for training, information, repair & maintenance and motivation for an active and healthy lifestyle. The construction of the Hub also provided hands-on experience for many of the Construction and Carpentry students at the College who worked to build and finish the structure, gaining workplace skills such as team working, problem solving and planning. 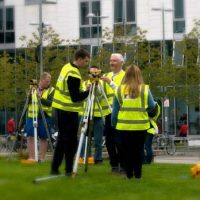 A key element of the College’s sustainability agenda, the Hub also supports the Health & Wellbeing aims of Glasgow Kelvin College, particularly in the field of mental health and wellbeing. Added to this, the Student Association’s White Ribbon campaign, Sustainable Inclusive Social Practice, is also a Finalist in the same category for supporting and developing the White Ribbon Campaign throughout the College and into the community. Several students and staff have also trained as speakers to deliver awareness-raising sessions and are currently involved in providing sessions for employees who work with bookmakers to support them in getting the message across to customers in their day-to-day work. The EAUC Green Gown Awards lead the way in sustainability and prove the value that universities and colleges bring to the economy and society. With nominated projects from across the UK they each emphasise their institution’s role in enabling and empowering young people to tackle pressing global issues to ensure they have a better tomorrow. To be held at York’s historic National Railway Museum, the Awards Ceremony will recognise sustainability best practice within the further and higher education sectors. The Awards provide the sector with benchmarks for excellence and are respected by Government, funding councils, senior management, academics and students. Among the many other Scottish finalists are Glasgow Kelvin’s sister college, City of Glasgow and Ayrshire College. Glasgow Kelvin congratulates them on their achievement and is honoured to be nominated alongside them. Welcoming, Award Winning and Creative! Summer is coming!! Well this weekend anyway, let’s hope the next few days aren’t the only days of sun we see. 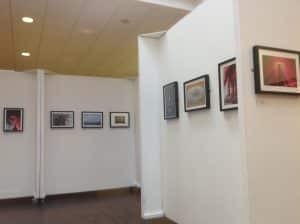 Lots on this week with the Fashion Show, awards and art on the move. We were all horrified to hear of the appalling event at Manchester Arena on Monday evening. I am sure you will join with me in expressing our condolences and deepest sympathies to the friends and families of all of those affected by this tragic incident. I would ask that you also keep the families of those injured in your thoughts. If appropriate and you would like to make a contribution, funds are being raised for the Barra families and also for all families who have been affected. 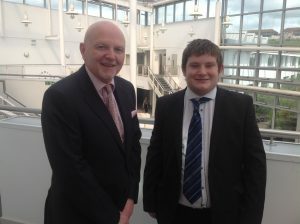 Principal Alan Sherry was pleased to have new Glasgow City Councillor, Robert Connelly, drop in for a chat this week. Cllr Connelly is one of the new councillors elected to the Calton ward in Glasgow’s East End and he’s looking forward to taking up his official duties over the next few weeks. Robert, however, is already very familiar with Glasgow Kelvin as he’s just completing his NQ in Social Sciences at our East End Campus. Congratulations go to Cllr Connelly and to all the newly elected members in Glasgow. Proud students, staff and White Ribbon Campaigners are pictured here with the plaque. Students and staff at Glasgow Kelvin College were delighted to celebrate the award of White Ribbon status as the first college in Scotland to achieve this honour. Friends, colleagues, local elected members and stakeholders attended the lively event at the College’s Springburn campus to witness the presentation of the plaque by White Ribbon Scotland for the sterling work done by students and staff in spreading the message and inviting people to sign the pledge “I pledge never to commit, condone or remain silent about violence against women in all its forms”. To read the full story, visit our website. 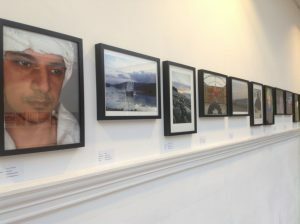 A trip to Glasgow Kelvin College’s West Campus last week would have had you wide-eyed with admiration at the talents of our Photography students from all over the College. 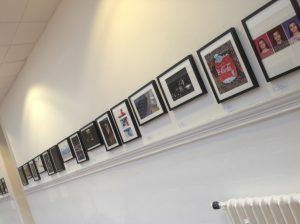 The ‘Developing Ideas’ exhibition showcased the tremendous skills they’ve acquired, from exercises in colour, to portraiture and different photographic techniques – a real panoply of talent and a testament to teaching quality. 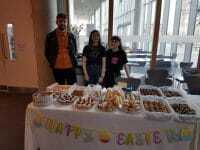 On Friday the 19th of May, the Introduction to Hospitality (Level 4) students raised £255.15 for their selected charity – Glasgow Children’s Hospital Charity. 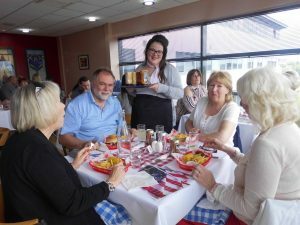 In order to pass their ‘Introduction to Events’ unit the students decided to plan and deliver a themed 1950’s American Diner event to 35 people. They also held a raffle to increase their contribution to their chosen charity. We are particularly proud of the students’ efforts. 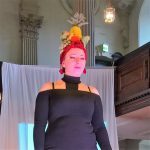 Wednesday the 24th of May saw Our amazing Fashion department stage yet another extravaganza at the atmospheric St Andrews in the Square, where our students’ creative talents amazed the large audiences which attended each of the three shows. With a myriad of colours, textures, cuts and fabrics, our Fashion Design & Manufacture students, and our Millinery evening class students, treated the enthralled audiences to a marvellous display of style and couture which could knock the socks off many of today’s popular designers. Themes of the show covered Goody Goody Gumdrops, Ode to the Bard, Hollywood Glamour, World Explorer, Gothic Noir and an Icon Finale. The show was supported by students from other departments, including Hairdressing and Beauty, TV Production, Sound Production and Photography. The day also had a serious side, with all monies raised (students raised over £3500) being donated to Make Love Not Scars, a charity dedicated to providing acid attack victims an opportunity to regain their life on their own terms through recovery, rehabilitation and reintegration. Overall this was a great event. Congratulations and very well done to all of them and especially to the staff who have supported them through this. 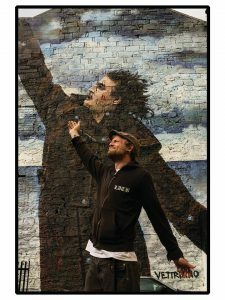 HND year 1 Photography student, John Cruttenden is aiming high after his work for the unit “Moving image” was picked up by BBC Scotland to feature in a documentary on Glasgow’s most famous comedian Billy Connelly. As a tribute to the ‘Big Yins’ 75th birthday, 3 huge murals are being painted across the city of Glasgow and John decided to record a timelapse of the work in progress to submit for his course. John said “It was fun but so challenging” as he sat for 23 hours enduring Scotland’s ever changing weather. When the BBC asked to use the footage “I was over the moon, infact I’m still smiling! This photography is starting to pay off.” remarked John. 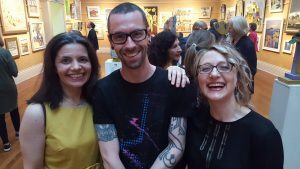 Art lecturer Nicola Carberry, art technician Steven Walker and former art lecturer Karen Scopa all won awards at this year's Paisley Art Institute Annual Exhibition. 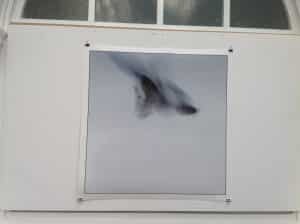 The judges also selected work by HND Art students Carol McGoldrick and Nancy Docherty. 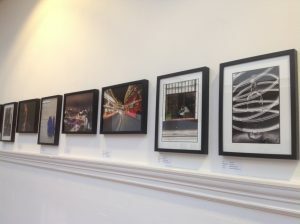 The show is at Paisley Art Gallery and Museum until Sunday June 28th. 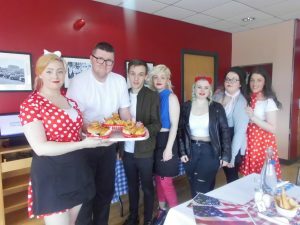 HND Art students are working with Nil by Mouth on a competition to get across their anti-sectarian message. The results of this are on show at West this week with five selected students going forward to a final and the winner selected by industry professionals. This has been a great opportunity to work with a ‘real life’ organisation and has been a great discussion point amongst staff and students across the West campus. That’s everything for this week. Remember this is a long weekend, classes resume on Tuesday the 30th of May, top on your vitamin D while you can – don’t forget the suncream!